From 27 February 2017 there will be changes to the way home care package services are delivered. The Home Care Packages program provides older people who want to stay at home with access to a range of ongoing personal services, support services and clinical care that help them with their day-to-day activities. 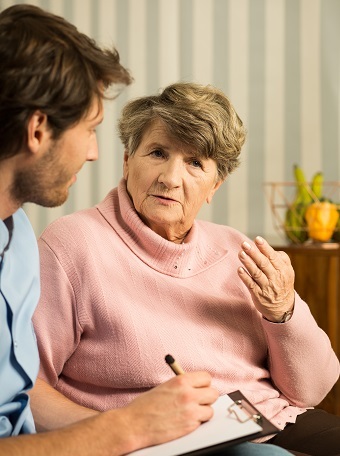 Home Care Packages are part of the Australian Government’s continuum of care for older Australians, positioned between residential aged care and the Commonwealth Home Support Programme (CHSP – which provides entry-level home support). There will be a consistent national approach to prioritising access to home care packages within My Aged Care. This means that once a consumer has been approved for home care and indicated they are seeking home care, they will be placed into a national prioritisation queue based on their relative needs and circumstances and the time they have spent waiting for care. This ensures that consumers can get access to home care package services in an equitable and fair manner, regardless of where they live. Whilst waiting for a package consumers will be offered CHSP services. Home care package funding will follow the consumer, allowing them to choose and direct package funding to the provider that best meets their needs, and to change providers if they wish. The online home care package service finder has also been improved to enable consumers to identify providers in their area which can best meet their needs. This includes new search fields that will allow consumers to search on providers who offer specialised services such as religious or cultural specialisations. It will also allow consumers to easily compare multiple providers including the costs associated with services. The process for becoming an approved provider will be streamlined. This includes simplified forms for new providers looking to enter the market and existing providers looking to expand into other types of aged care e.g. residential aged care providers looking to offer home care package services. All providers must continue to meet the Home Care Standards and will be assessed against these Standards to ensure quality of care is maintained. Home care package service providers will have the opportunity to expand their businesses to meet local demand and consumer expectations This replaces the current system where home care places are allocated directly to approved providers through an Aged Care Approval Round (ACAR) based on a particular aged care planning region. Source: Summary of info from Department of Health, Home Care Reforms Branch.